On Saturday 23rd November at 9pm Scott invited his girlfriend of 3 years Vanessa on their usual walk to Glenelg, joined by their pup Parker. On this chilly night they enjoyed their walk for a while before grabbing gelati. Scott suggested they should walk a little more along the beach, he let Vanessa steadily get ahead of him and then called out to her. Vanessa turned to find Scott on one knee with Parker sitting beside him. “Me and Parker have a question to ask you...” Scott said. Scott gives a little hint to his plans at a wedding he and Vanessa attended a year before his proposal. 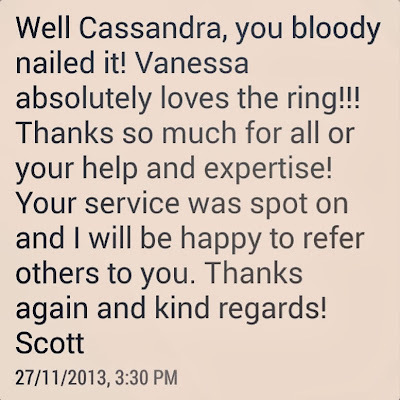 Scott went to see fine jewellery designer Cassandra Mamone about making the perfect ring for his beautiful girlfriend Vanessa. 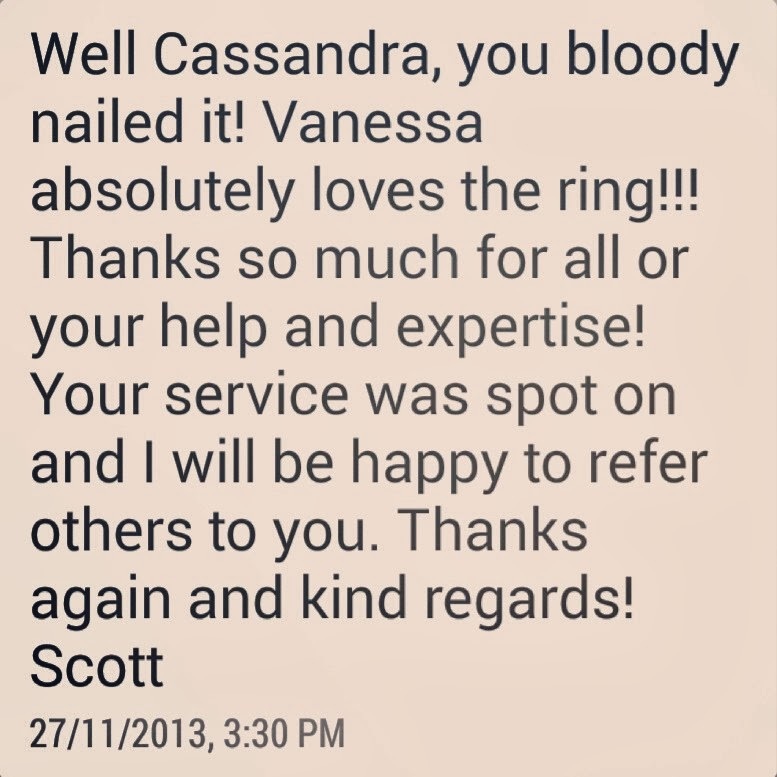 He had seen Vanessa following the Cassandra Mamone fine jewellery facebook page and then viewed the Cassandra Mamone website and decided it would be a great idea to call her. When Scott visited Cassandra, he was able to give insight to what he believed Vanessa would love for her engagement ring, with Scott's input Cassandra was able to design a choice of rings and with Cassandra’s advice Scott made a decision. The engagement ring features a beautiful GIA certified brilliant cut round diamond surrounded by a pave` set halo in 18ct white gold. 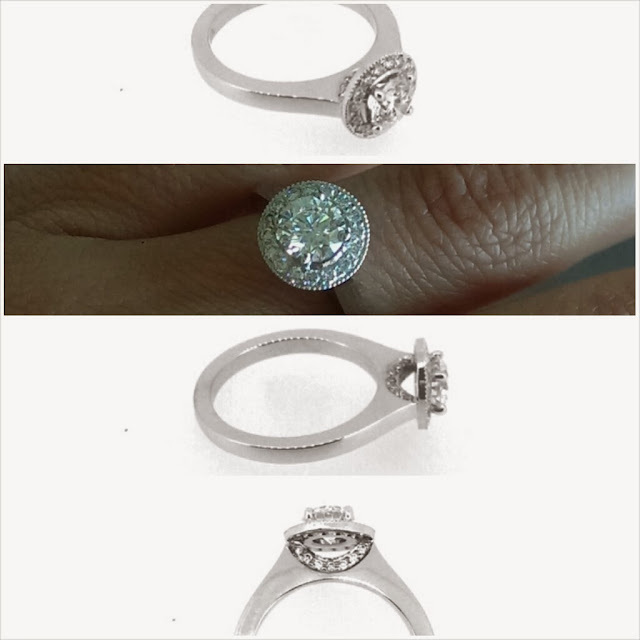 To add a touch of uniqueness diamonds were pave` set on both sides of the band underneath the setting. Lots of sparkle for Vanessa’s finger. “I was absolutely over the moon, and hysterical. 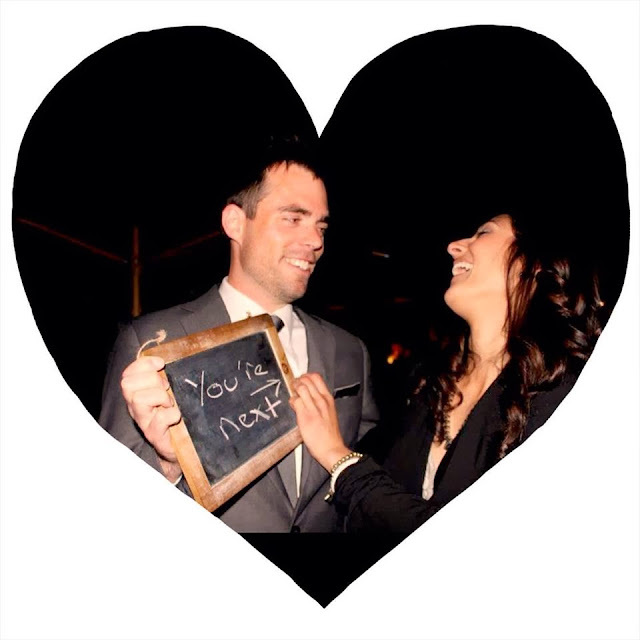 I could not stop smiling, I was so happy!” Vanessa was ecstatic with Scott’s proposal. "It was instant love when I saw the ring, I was in shock, I couldn't believe how well he did. it was perfect and more than I ever dreamed of"
Do you love Vanessa's ring? I love that your styles and ring square measure each lovely and cruelty-free! therefore distinctive as well!